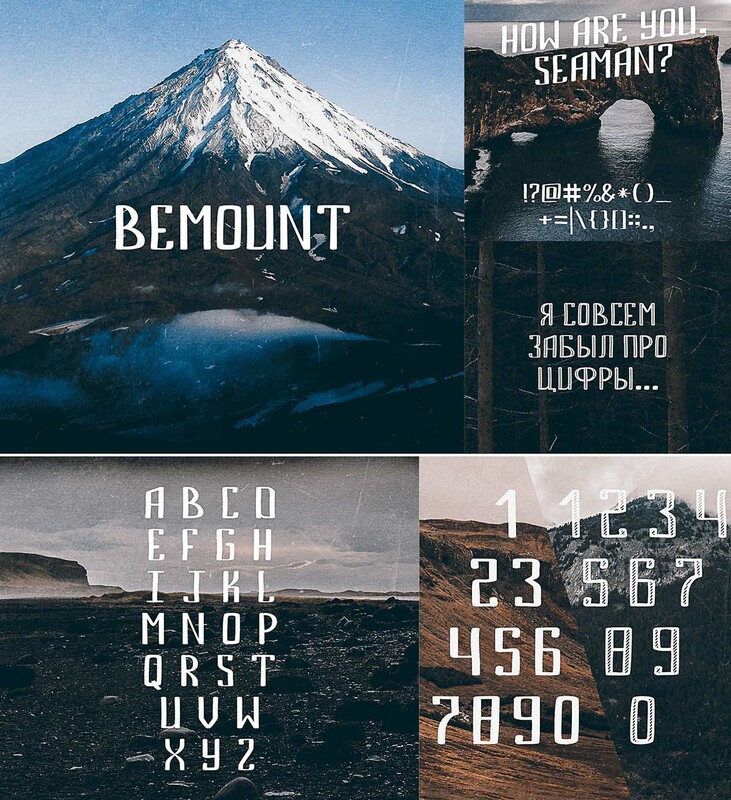 Introducing Bemount retro display font with cyrillic and roman typefaces. You can use this font for various purposes: such as logo, t-shirt, posters, lable, letterhead, book cover and etc. Tags: cyrillic, decorative, font, logotype, mountain, ornament, retro, roman, typeface.